Ordered. Perfect timing. I’m just about to get my Malter up and running. Congrats! Just ordered a copy. Right on, thanks for the support! Ordered! Can’t wait to read it! Are we able to find more information than the website? Yes there are more recipes in the book, over 35, I think it’s more convenient to access as well. I will order from Turkey. Mail delivery to Turkey takes 2 or 3 months. Is it possible to order as PDF? Hey man you forgot to put your name on the book! Does my name not show up? or do you mean the blog name? I have been following your blog for more than three years when your experiences were in its own. 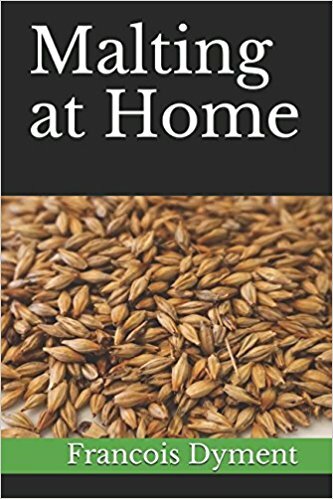 I found your blog by accident when I was looking for making malt at home. I live in Syria, a country that does not make beer, nor does it make malt, nor grow or sell a hops. I made a malt from local barley and thanks to your informative blog. As for the hop, I still have a lot of difficulty getting it, and I have not been able to get seed yet. I love you for your beautiful book and I would like to translate it into Arabic if you do not mind it. Very interesting thanks for this link!